John Littlefield Crawford, 97 of Franklin, NC passed away peacefully on March 30, 2016. A native of Macon County, he was the son of the late John L. Crawford and Annie Crawford Higdon and stepfather Alfred R. Higdon. In addition to his parents he was preceded in death by his sister‑in law Doris Hudson. He attended UNC Chapel Hill where he met his future wife Dorothy Rose whom he married on March 12, 1942 in Victoria, TX where he was a pilot in the US Army Air Corps during WW II. He was in flight training at Goodfellow Field, San Angelo, TX on Pearl Harbor Day. Following basic flight training, he went on to advanced flight training in fighter planes. After receiving his wings and commissioned as a 2LT in the Army Air Corps, he became an instructor in advanced flight training school for fighter pilots, training not only American pilots, but many allied pilots from Turkey, Bolivia, Peru, France, and other countries. Although he requested overseas action as a fighter pilot, he was told he was more valuable as an instructor so he remained at Moore Field, Mission TX, moving up the chain of command from Assistant Squadron Commander all the way to Group Commander. A member of the “Greatest Generation”, he helped close Moore Field following the end of WW II and was discharged from active duty. He remained active in the Army Air Corp Reserves and later the US Air Force Reserves until retiring from the reserves as a Lieutenant Colonel in 1969. Following the war, he returned to Franklin and worked for his step‑father for many years at Franklin Hardware which he closed in 1962 following Mr. Higdon’s death. He became a permanent letter carrier for the US Postal Service in 1956 from which he retired in 1984. He was active in the American Legion serving as various officers including Commander in 1954‑55. For several years he was a director of the Bank of Franklin which later became First Union. He was a former member of the Lion’s Club, a member of the Masonic Lodge, and Chamber of Commerce, and Volunteer Fire Department serving as an officer of the last three organizations. He was a charter member of the Franklin Gem and Mineral Society and the Macon County Cultural Arts Council. In recognition of extraordinary service to Macon County, along with his wife Dorothy, the Macon County Senior Services Center was renamed the Dorothy R. and John L. Crawford Senior Center. He was a founding and active member of the Franklin Church of Christ serving as an elder. Survivors include his loving wife of over 74 years Dorothy Rose Crawford, sons John L Crawford, III and wife Donna of Flat Rock, NC; Thomas R. Crawford and wife Jae of Sylva, NC; seven grandchildren Caroline Heubel and husband John of Ft. Mill, SC; Robert Crawford of Charlotte, NC; Molly Moore and husband Parker of Washington, DC; Kate Fuquay and husband Jason of NY City; Thomas R. Crawford, Jr and wife Michelle of Chapel Hill; Kathryn McMillan and husband Tom of Port St. Lucie, FL; Holly Conlin and husband Scott of Sylva; fifteen great‑grandchildren; sisters Julia Green of Burlington, NC, and Beverly Moore of Franklin; brothers Alfred Higdon and wife Ann of Atlanta, and Thomas Higdon and wife Patricia of Las Cruces, NM; and many nieces and nephews. Funeral services will be held at the Franklin Church of Christ, 90 McCollum Drive on Sunday, April 3, 2016 at 2:30 pm with Minister Radford Penland officiating. Pallbearers will be John Heubel, Robert Crawford, Thomas Crawford, Jr., Benn Grant III, Ben Swafford, and Carey Patton, Jr., Jacob Stewart and Donald Fisher. The family will receive friends at the church from 1:00 ‑ 2:30 pm, prior to the service. Burial will be at Woodlawn Cemetery with Military Rights. In lieu of flowers, memorial contributions may be made to the Franklin Church of Christ McCollum Drive Scholarship Endowment, and mail to: North Carolina Community Foundation, 4601 Six Forks Road‑Suite 525, Raleigh, NC 26609, or donate on line: www.nccommunityfoundation.org or contributions to Angel Medical Center Foundation, PO Box 1209, Franklin, NC 28734, or to one’s favorite charity. 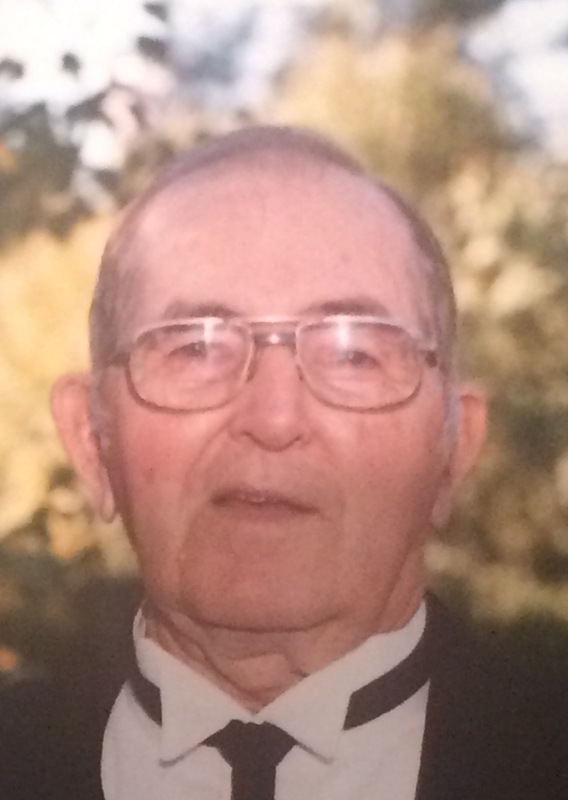 John Martin Curtis, 92 of Mills River passed away Saturday March 26, 2016 at the Elizabeth House. He was the son of the late Dewey and Frances Curtis and husband of the late Virginia McGrath Curtis who died in 2000. He was preceded in death by two sisters. A US Army veteran, he was a member of the 101ST Airborne, and had received the Bronze Star, Purple Heart, Distinguished Service Metal and Presidential Citation for Meritorious Service. He was an avid bowler and fisherman. He loved baseball and was a huge Duke fan. Survivors include one son, Michael Curtis and his wife Linda of Mills River, two daughters, Jean Foster and her husband Donnie of Liverpool, NY and Christine Edwards of Hendersonville, one sister Joan Tetrault of NY, eight grandchildren, Teresa Curtis, Zack and his wife Telisha Curtis, Dillon Curtis, Kelly Green and her husband Josh, Cameron Edwards and Gina Clayton and five great grandchildren. Memorials may be made to: Four Seasons Compassion for Life; 571 South Allen Road, Flat Rock, NC 28731. 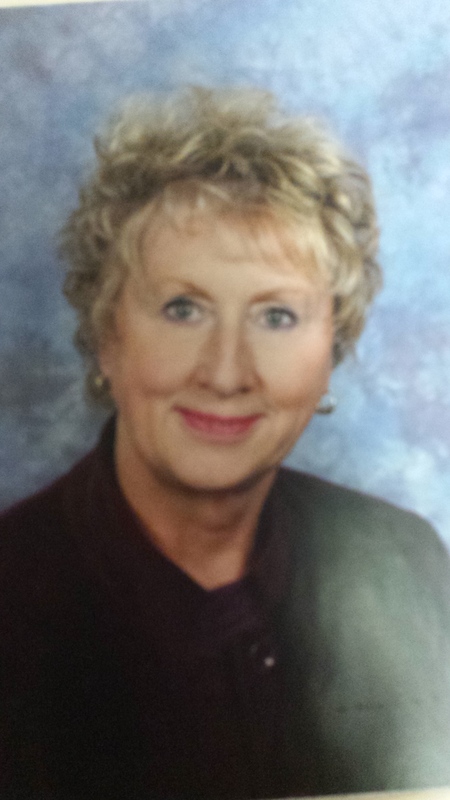 Ellen Julia Lance, 71, of Hendersonville, NC, died peacefully on March 19th with hospice and her sister by her side. 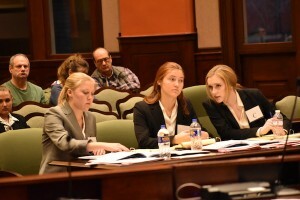 Ellen was born in Reading, PA to the late Floyd Leighton Lance and Kathryn Mohn Lerch Lance. She attended Wyomissing High School and in her Junior year went to the Charles E. Ellis School for Girls where she graduated in 1965. She started her long career as a nurse’s aid at St. Joseph's Hospital, but in October 1967 she joined the United States Army stationed at Ft Bragg, Fayetteville, NC. There she trained as a Dental Hygienist receiving several certificates of appreciation and achievements before her honorable discharge as a Specialist E5 three years later. The next several decades she worked for various printing companies, including the print department at Fayetteville State University. She loved running the various printing presses, and was especially gifted at color separation. Beginning in early Jan 1995 Ellen was trained and became a certified Hospice Nurses Aid for the New Jersey State Nurses Association. There she was rewarded a Certificate of Appreciation for her hard work and dedication to her patients, whom she loved dearly. In the year 2000 she retired, moving to her home in the mountains of Hendersonville, NC. Ellen adored her wild birds, photography, camping and ocean fishing, genealogy, being generous of her time with her friends, tooling leather, woodturning and gardening. Surviving are her sister Sandra L. Lance and her husband Frank E. Wolf of Ripton, VT, an elderly Aunt Polly Lerch Lehman and cousin John Lehman of Wyomissing, Pa , a cousin Kathy Coyle Guenter and her husband George from the Philadelphia area, and a dear cousin Barbara Lance Ruth of Greensboro, NC. A celebration of Ellen's life will be held at a later at her home. Ellen asked that in lieu of flowers, donations be made to the Blue Ridge Humane Society no kill animal shelter at 88 Centipede Ln, Hendersonville, NC, the Charles George Veterans Hospital, 1100 Tunnel Rd., Ashville, NC 28805, or the Four Seasons Hospice, 571 S. Allen Rd., Flat Rock, NC. 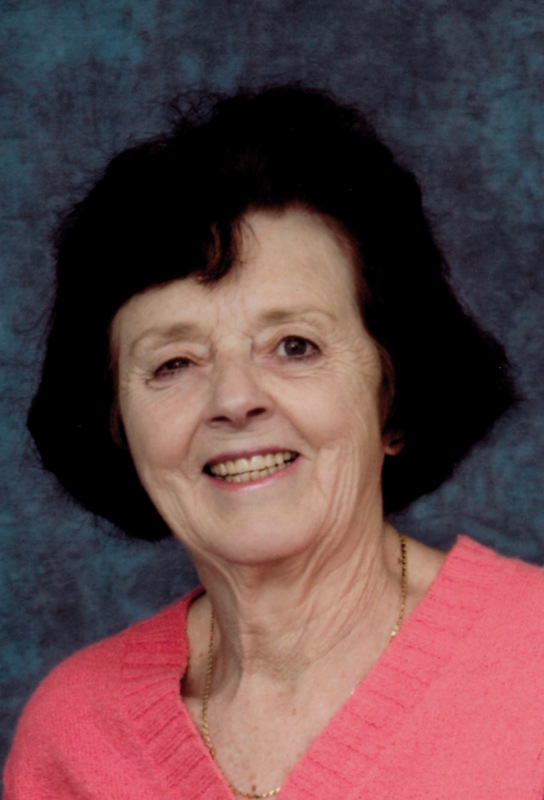 Minty Lucile Howard, 76, of Dana, NC went to be with the Lord, Tuesday, March 22, 2016. Benjamin Hardy Freeman, 75, of Hendersonvile, passed away Monday, March 21, 2016. He was a native of Henderson County and the son of the late Paul and Agnes Freeman. He was also preceded in death by his brother-in-law, Jack Ludolph. Benjamin served in the U.S. Airforce for four years and retired from the Henderson County Sheriff’s Department. He was a member of First United Methodist Church in Hendersonville. 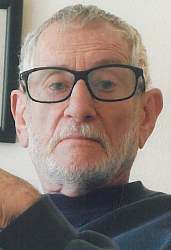 He is survived by his wife, Kathy Freeman; daughters, Susan Freeman and Sherri Holbert and husband Rick; son, Mark Freeman and wife Emily; step-daughters, Laura Freeman and Allyson Myers and husband Graham; step-son, Eric Weaver and wife Evelyn; sister, Donna Ludolph; and nine grandchildren. A memorial service will be 10:00 am, Thursday, March 24, 2016 in the Kirby Chapel of Shuler Funeral Home with Rev. Mark Ralls officiating. The family will receive friends one hour prior to the service at the funeral home. In lieu of flowers, memorials may be made to the Henderson County Sheriff’s Office STAR Program (Sheriff’s Teaching Abuse Resistance), 100 North Grove St., Hendersonville, NC 28792. This program is being taught to Henderson County 5th graders by school Resource Deputies and school health nurses. Charles Buddy Wilkie, 79, of Hendersonville went home to be with the Lord on Friday, March 18, 2016. Born in Henderson County, he was the son of the late Joe and Nena Wilkie. He was also preceded in death by his sister, Dorothy Staton, and four brothers, JB, Norman, Buck and Billy Wilkie. Before retiring, Charles was employed by Fletcher Brick Company for 43 years. 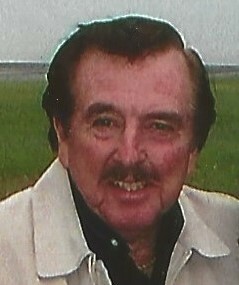 Charles is survived by his three children, Brenda Estrada (Augustine), Robert Wilkie, and Terri Clark (Kip); two grandchildren, Marcus Wilkie (Shannon) and Leticia Wilkie; three great-grandchildren, Carson, Haleigh and Shelby; extended family to whom we owe many thanks, Polly, Carolyn, Kristen and Jade; three sisters, Ailene West (Ken), Betty Griffin (Larry) and Louise Cox (Bobby); and two brothers, Wendell Wilkie (Dorothy) and Gene Wilkie (Cathy). A Celebration of Life service will be held at 11 am Friday, March 25, 2016 at Truth Missionary Baptist Church. The Reverend Don Birchfield will officiate. The family will receive friends one hour prior to the service at the church. Memorials may be made to Four Seasons Compassion for Life or to the American Heart Association at www.tmcfunding.org. Thomas Eugene “Gene” Franks, 81, of East Flat Rock went to be with his Heavenly Father in his permanent home, walking the streets of gold with his daughter Renee, on March 15, 2016. Born in Glenville, he was a son of the late Leroy Filmore and Martha Elizabeth Bentley Franks. He was also preceded in death by three brothers, Shirley, Fred, and Ray; and two sisters, Mildred and Ruth. Gene was drafted by the Marines in 1953, after which he worked as a truck driver. During this time, he met his wife, Louise and they were married September 9, 1956. Later they moved to Austel, GA where he worked as a police officer and prison guard. Twelve years later they moved to Hendersonville where he worked as an instructor at Blanton Truck Driving School. Later he worked at and retired from AmeriGas. He was a member of Hendersonville First Church of the Nazarene. Gene will be remembered by his family with smiles, as he always had a smile for everyone, never holding a grudge, and was a friend to all. He is survived by his loving wife of 59 years, Louise; his sons, Tim (Angie) Franks, Chris (Joelle) Franks, and Kerry (Suzette) Franks; his daughter Denya (Sam) Stanchak (twin to Renee); seven grandchildren; six great-grandchildren; and one sister, Dot Bryson. Funeral services will be at 11am Saturday, March 19, 2016 at Hendersonville First Church of the Nazarene with the Rev. Sherman Waters officiating. The family will receive friends one hour prior to the service at the church. Military graveside rites will be conducted at Forest Lawn Memorial Park following the service. Cards may be mailed to Louise Franks at Cherry Springs, 358 Clear Creek Road, Room 38A, Hendersonville, NC 28792. 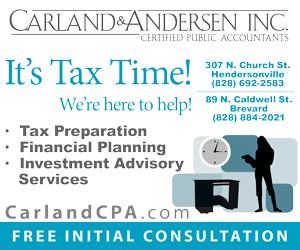 Please visit forestlawnhendersonville.com for online condolences. area and farther afield over the years. and eight great grandchildren. Clyde attended First Baptist Church in Hendersonville. 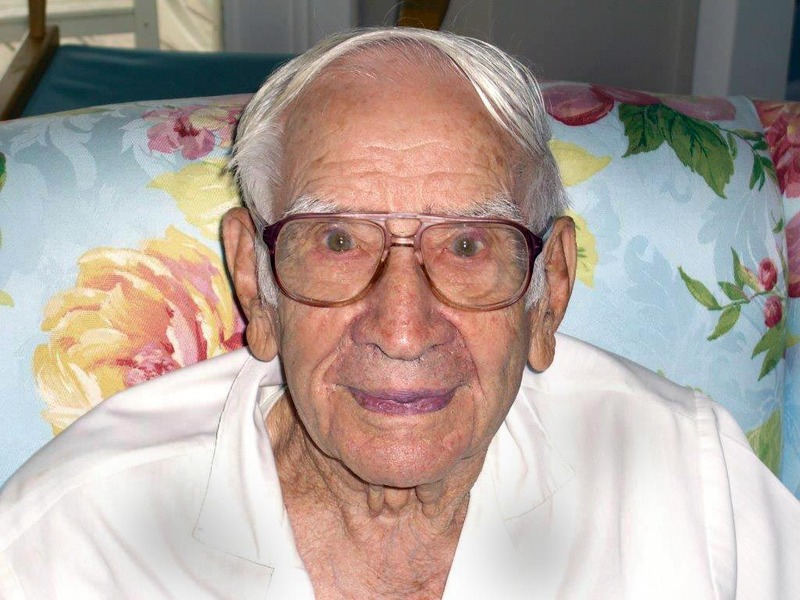 Clyde S. Bayne, 98, of Hendersonville, NC passed away Monday, March 14, 2016. HENDERSONVILLE – George Edward Hudson, 96, took the hand of his precious Saviour, Jesus Christ on March 14, 2016. He was born on September 27, 1919 to Ancel Luther Hudson and Margaret “Lizzy” Coggins. He is preceded in death by his father and mother, brothers, Gene and Fred and sisters, Nettie Thomas and Zanie Willis. Mr. Hudson was a veteran of World War II where he proudly contributed his service to his country in the U.S. Army in the 808th Tank Destroyer Battalion. Upon returning from the war he married Louise Fannie Maybin on June 14, 1947. In August of the following year, they welcomed their daughter, Eddie Lou Hudson Sizemore to join their Christian Family. He was an active member of Double Springs Baptist Church and served as a deacon for over 50 years. Mr. Hudson retired from the North Carolina School System where he was a custodian and bus driver at Tuxedo Elementary School. In addition to his being around the joy of kids, he was a lifelong farmer. He is survived by his loving wife of 68 years, Louise, Daughter: Eddie Lou Sizemore and husband Earnest, Granddaughter: Susan Boffoli and her husband J.B. along with their son Jude Joseph, Grandson: Matthew Sizemore and his wife Amy along with their children Baileigh Grace, Lauren Faith and Avery Hudson. Funeral services will be held 2 p.m. Thursday, March 17, 2016 at Double Springs Baptist Church. Burial will follow the service in the Forest Lawn Cemetery with military honors conducted by the Henderson County Honor Guard. The body will lie in repose at the church one hour prior to the service. The family will receive friends Wednesday evening from 6 p.m. until 8 p.m. at Jackson Funeral Service. In lieu of flowers, memorial donations may be made to the Council on Aging, 105 King Creek Blvd, Hendersonville, NC 28792, designated for Meals on Wheels. Nancy Kay Euson Reale, 77, of Hendersonville, passed away peacefully Monday, February 29, 2016 at Mission Hospital St. Joseph Campus. A native of Cortland, NY, she was the daughter of the late Percival D and Pearl Helen Ward Euson. She was also preceded in death by her loving husband, John E. Reale, who passed away in 1989. She graduated from Cortland High School and lived with her husband and four daughters in Liverpool, NY until 1980 before moving to Etowah, NC. Nancy was a member of Etowah United Methodist Church. She enjoyed spending time with her family and friends. She was a loving mother and nana and will be missed by many. She is survived by her daughters, Jill Johnson of Newberry, FL, Julie Haselton Scott and her husband, Steven Scott of Brevard, NC, Michelle Reale of Spartanburg, SC and Maria Reale of Mills River, NC; ten grandchildren; several great-grandchildren; sister, Jean Michaud of Lakeland, FL; and many nieces and nephews. The family would like to acknowledge the great love and support Nancy received from her friends, doctors, staff at Park Ridge Hospital and the doctors and staff Asheville Specialty Hospital at Mission St. Josephs Campus. Larry Kenneth Neal, 67, of Hendersonville, passed away Saturday, March 12, 2016. 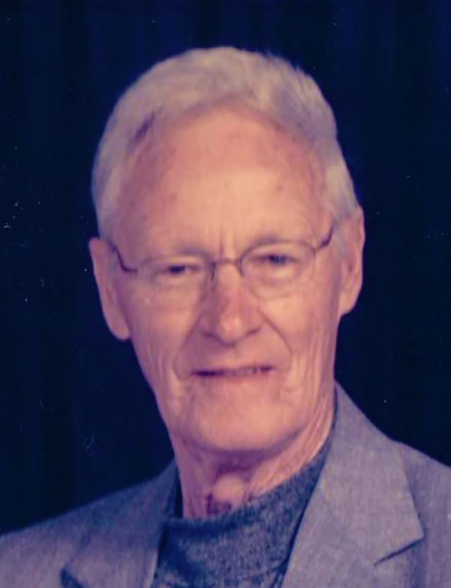 He was a native of Henderson County and a son of Ruby Thrift Neal and the late Frank Neal. He was also preceded in death by his son Daniel “Danny” Neal. He served in the U.S. Army during the Vietnam War. After the war he returned home and started working at Berkley Mills where he worked for 32 years in various departments. Once he returned home from the war he met and fell in love with his sweet wife Rita and would have been married 45 years in June. They had two wonderful boys then they were gifted with three beautiful granddaughters whom he spoiled rotten. Larry was a devoted husband, dad, son, brother, grandpa and friend. Anyone that knew Larry knew he was a very funny man. He was an avid jokester and joke teller and had a gift of embellishment to anything he was telling. He loved, blue grass and gospel music, Music on Main, clogging, antique car shows, cookouts, family and friend get-togethers and reunions. He loved cooking in his Dutch oven cookware and anyone that had it couldn’t get enough. He never met a stranger and would talk to anyone at any time. Larry had a lasting impact on so many people to say he is going to be missed is a huge understatement. He is survived by his wife, Rita Davis Neal; son, Kenneth “Kenny” Neal, mother, Ruby Frady and stepfather Vance Frady; grandchildren, Heather Neal, Faith Ann Neal and Krista Neal; brothers, Jerry Neal and his wife Tasha, Bill Lindsey and his wife Mary, Jimmy Frady, Kenneth Frady and his wife Cathy; sisters, Barbie Allen and her husband Kent, Doris Sexton and her husband David, Susan Fox and Helen Patterson and her husband Pat; several nieces and nephews and many friends. A funeral service will be held 11:00 am, Wednesday, March 16, 2016 in the Forest Lawn Funeral Home Chapel with Rev. Mike Engle officiating. Burial will follow in Forest Lawn Memorial Park. The family will receive friends Tuesday, March 15, at the funeral home. George Detmann Gambsky, 90 of Etowah, NC passed peacefully at the Elizabeth House on February 27, 2016. He was preceded in death by his parents, George and Ella Gambsky and his sister, Helen G. Farley and her husband James. George loved photography. He started at age nine taking and developing his own photos. He taught at the University of Wisconsin and some of his pictures are displayed there. George traveled extensively in Europe conducting seminars, leading tours, and taking photos. George also enjoyed traveling in the U.S. in his ’54 VW bug ! He came to this area to teach at Brevard College, but tragically before this could occur, a disease took his sight. George was very resourceful and independent! He will be missed by all who knew him, especially by his caregivers, Virgle and Reva McClure. A memorial service will be held at Etowah Presbyterian Church, Sunday March 13, at 3:00 PM with the Revs. Kyle Segars and Tom Cook officiating. Memorials may be made to : Meals on Wheels, 105 King Creek Blvd, Hendersonville, NC 28792. 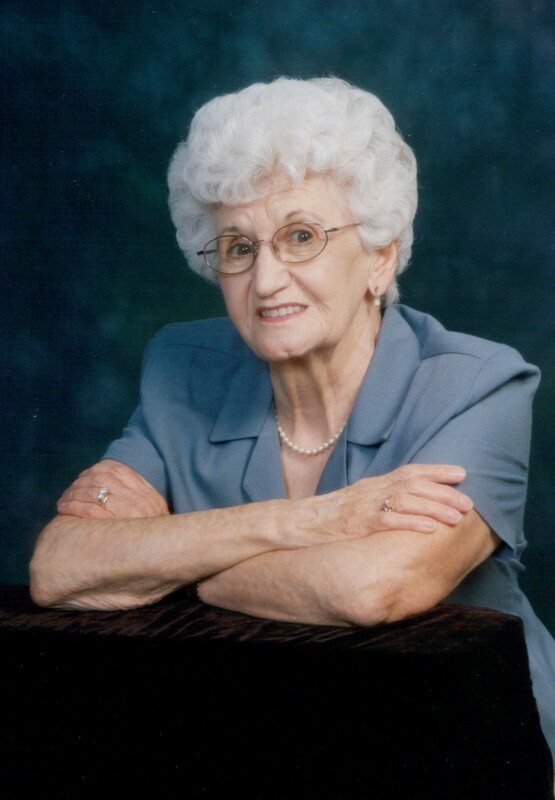 Deloris S. Spangler, 86, of Flat Rock passed away Tuesday, March 8, 2016. Born in West Virginia, she was the daughter of the late Roy and Goldie McGrady Francum. She was also preceded in death by her husband of 63 years, Charles “Charlie” R. Spangler. 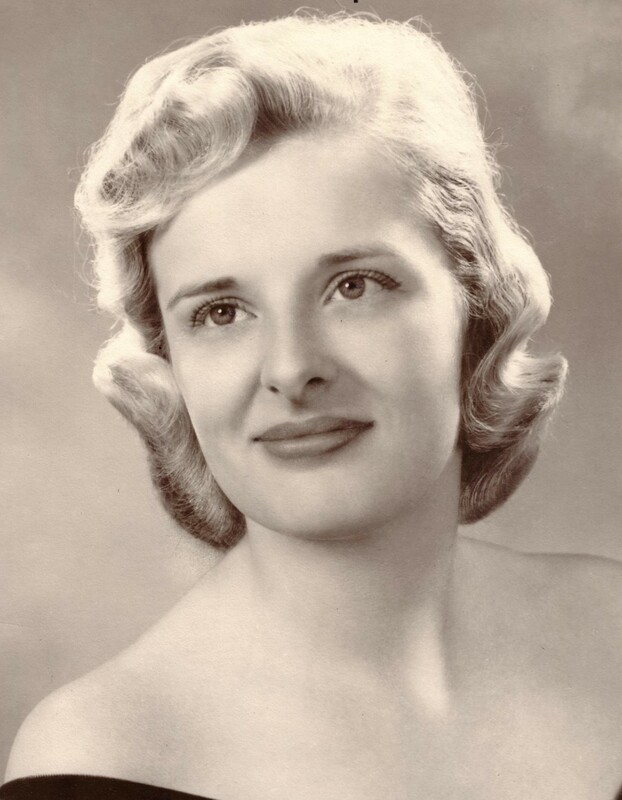 In her early years, Deloris worked as a hairdresser and then at a manufacturing plant. 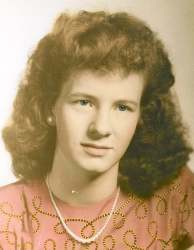 In 1948, she had her first son, Charles “Ed” Spangler, and her second son, David Spangler, five years later. Deloris was an excellent cook and always maintained a large garden. She also loved to sew and made lots of her own clothes. Deloris and Charlie moved to Seneca, SC, where they lived for several years. They had a home on Lake Keowee and a pontoon boat that they loved to take out on the lake to fish. In 2007, Deloris and Charlie moved to the Orchards of Flat Rock due to Charlie’s declining health. Deloris enjoyed and appreciated her neighbors there. They helped her celebrate her 80th birthday (her first real birthday party) which was a very special occasion for her. Deloris is survived by her two sons, Charles “Ed” Spangler and David Spangler; her daughter-in-law, Kelly Spangler; two grandchildren, Doug and Christy; three great-grandchildren, Destiny, Lacie and Nicolas; and one great-great-grandchild, Nicolai. A funeral service will be held at 4:00 pm, Thursday, March 10, 2016 in the Kirby Memorial Chapel of Shuler Funeral Home. The viewing will be at 3:00 PM prior to the service. The Reverend Sherrill Moore will officiate. Burial will be at Oconee Memorial Park, 1923 Blue Ridge Blvd., Seneca, SC 29672. Rev. Clarence Porter, 77, of Hendersonville, went home to be with the Lord on Tuesday, March 1, 2016 at the Elizabeth House. Born in Harford, MD on March 11, 1938, he was a son of the late William Roscoe and Anna Patton Porter. He was also preceded in death by a brother, Harold Porter. On December 27, 1960 Rev. Porter was saved and in 1968, the Lord called him into the ministry. He and his wife Shirley moved to Hendersonville, NC that same year, and he enrolled at Fruitland Bible College, graduating in 1971. He was pastor at First Baptist Church, Brighton, MI; Kings Grove Baptist Church, Edneyville, NC; and Shepherd Street Baptist Church, Hendersonville, NC. He was also the interim pastor at Fair Haven Baptist and Tracy Grove Baptist, Hendersonville, NC. Survivors include his loving wife of 56 years, Shirley Horner Porter; one son, Allen Porter (Theresa) of Hendersonville; two daughters, Debbie Pittillo (Wayne) of Hendersonville and Donna Moss (Rick) of Hendersonville; seven grandchildren, Allison Covington (Phillip), Brittany Dixon (Josh), Brendan and Brooke Moss, Jace Pryor, Cable and Christa Porter; one great granddaughter, Paisley Dixon; one sister, Pauline Tyndall (Marvin) of NJ; one brother, Gene Porter of MD. Funeral services will be held 2pm on Saturday, March 5, 2016 at Fletcher First Baptist Church with Reverends Roy Waldroup, James Hefner and Henry Vegter officiating. Burial will follow at Forest Lawn Memorial Park. The family will receive friends at the church from 12-2pm prior to the service. To offer online condolences, please visit www.forestlawnhendersonville.com. Lula Coston Hill, 90, of Hendersonville, went home to be with the Lord on Tuesday, March 1, 2016 at Catawba Regional Hospice, following a period of declining health. A native and lifelong resident of Henderson County, she was a daughter of the late Henry and Lola Coston. She was also preceded in death by her husband T. Polk Hill, who died in 1991. She was a graduate of Edneyville High School, and is a member of Edneyville United Methodist Church. Lula loved to cook and was a master fried apple pie maker. She was an avid bird watcher and enjoyed knitting. Lula had a table at the Curb Market for many years. She enjoyed talking with guests at Hillcrest Orchard during apple season. She loved her family very much and enjoyed spending time with them, especially the grandchildren and the great-grandchildren. She is survived by her daughters, Marilyn Canova and her husband Louie of Rome, Ga., Patricia Osteen and her husband Scott of Hickory, NC; son, Terry Hill and his wife Amy of Seven Lakes, NC; 6 grandchildren; 8 great-grandchildren and numerous nieces and nephews. A funeral service will be held at 1 pm on Friday, March 4, 2016 at Edneyville United Methodist Church with Pastor Nancy Walton officiating. A visitation will be held from 12-1pm prior to the service. Burial will follow at Forest Lawn Memorial Park. Memorial contributions may be made to Adult Life Program Catawba County, Catawba Regional Hospice, or Edneyville United Methodist Church by visiting www.tmcfunding.com. Laura Jackson Hartsook, 42, of Hendersonville passed peacefully from this world to her new Heavenly home on Monday, February 29, 2016 at 2PM following a long battle with chronic illness. 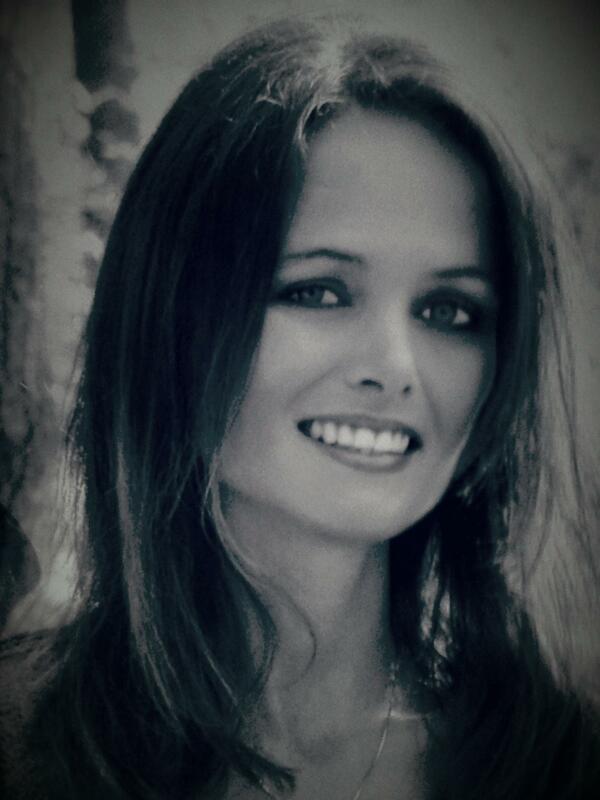 Born in Hendersonville, Laura was a loving daughter and sister, and the most amazing wife and mother to her family. Laura was employed at Carolina Mountain Internal Medicine in Hendersonville at the office of Dr. Eric Byrd. It is here that Laura was able to truly serve out God’s purpose in her life as she served so many in the community through her endless compassion and drive to help those in need. She never said no and she never failed to brighten the day and inspire everyone she came in contact with through this office. Laura drew strength in her purpose to help those who were fortunate to be placed in her path and it was with this strength that she was able to battle her own pain and illness all the way to the end, never sacrificing the care she would provide to those many that counted on her. The family could never capture the many names of the lives that Laura touched. Even if she was only in your life a fleeting moment in time, she made such a lasting and loving memory. You know who you are and the family is grateful for all of you, as you made her time in this world so very special. Laura is the daughter of Charles and Emma Jackson of Dana, NC. She is survived by both parents; her husband, Ron; a daughter, Breanna Jackson of Boone and son, Koty Hartsook of the home. She is also survived by a sister, Paula Oates and husband, Rusty, and two nieces, Alex and Kylie, also of Dana. Laura has several In-laws who also loved her as one of their own, parents Terry and Wendy Hartsook of Key Largo, FL, along with brother Brian (Tammy) Hartsook of Black Mountain, David and (Kim) Hartsook of Morristown, TN, Lisa and (Ken) Warren of Hendersonville, and also nieces and nephews, Brooke Hartsook-Fields (Trey), Lucas Hartsook, Cole Hartsook, Amanda Hartsook, and so many countless others she supported in love and guidance over the years. She was such a motherly presence to so many, even at her young age. Laura was surrounded by her family and friends through her last days and, even in death, she was able to provide one last service to her grieving loved ones in that she left us with a Peace and Spirit that we will never forget. A Celebration of Life service will be held at 2 pm Saturday, March 5, 2016 at Bethel Wesleyan Church on Tracy Grove Road. The Reverend Tim Clark will officiate. The family will receive friends from noon to 2 pm Saturday at the church. The family requests that, in lieu of flowers, all those who loved Laura pay it forward to someone in need.